Hello!! We (and the Alpacas) are based in the Southern Pennines in the picturesque Calder Valley outside the small market town of Hebden Bridge, a beautiful place with many tourist attractions in its own right like; Stoodley Pike, Hardcastle Crags and both Calderdale Walk Way and Pennine Bridleway to name but a few. We first became interested in Alpacas in 2012 and have then since travelled South Wales to build our small heard. 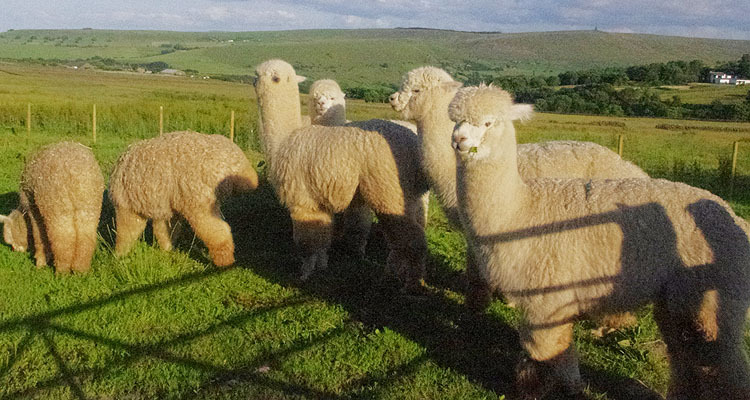 Our boys are suited to the South Pennines given there native roots in South America and they love the long Summer days up in the hills just outside the lovely village of Blackshaw Head which is a mere 5 minutes away by car and bus from Heben Bridge. 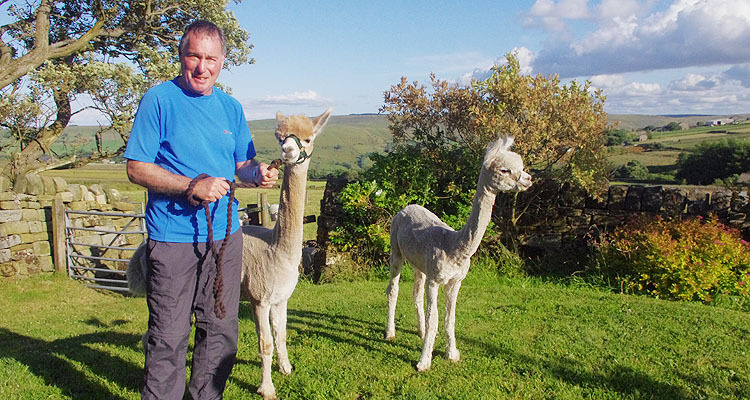 Summer is a busy time for us, with lots of walks taking place and of course not forgetting the shearing of the Alpacas and other husbandry requirements such as toe clipping and teeth maintenance! Fleeces are sold on and our males have outstanding coats that go towards making all sorts of products including hats, gloves and socks. We started like most breeders with a few pet alpacas. These animals get under your skin and before you know it you suddenly find yourself with more than just a few pets. Our lead stud male Ashwood Forester is a gem and ensures great genetics. You can come and see our Alpacas at any time, even if we are not at the farm. The holding field is right next to the Calderdale way, and although you will need to park on Davey Lane (without causing an obstruction), you can walk down the footpath/farm lane to meet them over the fence. 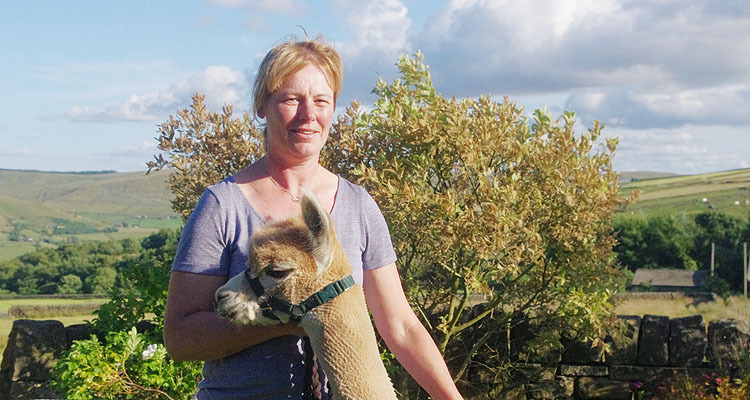 Our Alpaca walks are tailored to suit, from one hour to a half day experience, depending on group size and ability. Alpacas make ideal companions for walking whether it be in groups, singles or special occasions and is great fun for families. What a day, the alpacas were amazing and the location idyllic. How do people manage to live in such a beautiful place with absolutely gorgeous creatures? I will be back to walk Forester! I honestly cannot remember when as a family we had such a lovely day out. Our hosts Howard and Tracy were attentive to all our needs and the children simply did not want to leave. A wonderful experience. ©2015 Apple Tree Farm Alpacas.